Huawei launched at Singapore’s CommunicAsia show a seven-inch tablet dubbed MediaPad that the company says is the first to utilize Android Honeycomb 3.2, which they claim is the same as Honeycomb 3.1 sans the added support for the seven-inch form factor. That doesn’t make sense to us and is probably just a marketing gimmick, but the device itself looks interesting. They’ve got a 217 pixels-per-inch IPS capacitive touchscreen on that thing, a dual-core 1.2GHz processor from Qualcomm, forward-facing 1.3-megapixel camera for video calls, a five-megapixel camera on the back, a six-hour battery, 802.11n wireless and HSPA+ 3G cellular support (both are included as there’s no WiFi-only version), a Bluetooth module, video output via HDMI and 8GB of internal storage plus a microSD card slot. Singapore, 20 June 2011: Huawei, a leading telecom solutions provider, today launched the Huawei MediaPad, the world’s first 7-inch Android 3.2 Honeycomb tablet. The MediaPad is a complete entertainment powerhouse driven by Qualcomm’s dual-core 1.2GHz processor and supported by Huawei Device’s Hispace cloud solution. The MediaPad provides the fabulous user experience in a stylish, high-performing and ultra-portable package. The MediaPad is Huawei Device’s smartest, slimmest and lightest tablet yet, measuring just 10.5mm (0.4 inches) deep and weighing around 390g (0.86 pounds). It supports 1080P full HD video playback and features a 1.3 megapixel front facing camera and 5 megapixel auto focus rear facing camera with HD video recording capabilities. With HSPA+ 14.4Mbps and high-speed WiFi 11n Internet connectivity, the MediaPad doesn’t just entertain – it keeps you connected. The MediaPad supports HSPA+ data services, Flash 10.3 videos and comes preinstalled with applications such as Facebook, Twitter, Let’s Golf and Documents to Go. 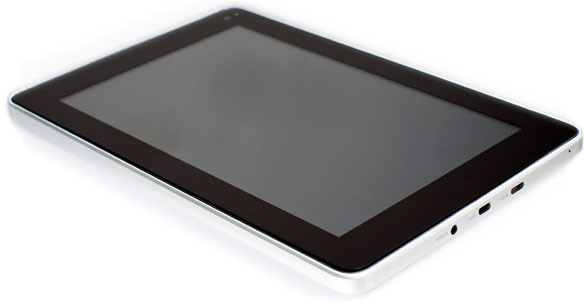 With the 7-inch IPS touch screen, the MediaPad offers a standout visual experience for photos, movies and applications. Entertainment and gaming experience are taken to the next level with the MediaPad’s 1.2GHz Dual-Core processor, high definition playback and HDMI port. The MediaPad builds on the global success of the IDEOS S7 Slim tablet and cements Huawei Device’s ability to cater to the explosive demand for tablets. According to the International Data Corporation, sales in the tablet market are expected to increase more than fourfold in the next two years. The MediaPad will be showcased at Huawei’s “Smart for Transformation” booth at CommunicAsia 2011 in Singapore. Along with Huawei’s latest range of smart devices, the MediaPad is a prime example of Huawei Device’s focus on the power of practical innovation.